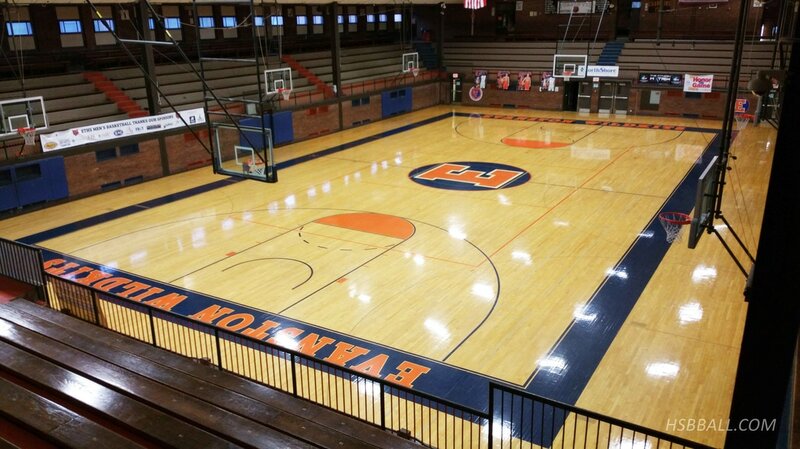 Below is an alphabetical collection of high school gymnasiums and a few stadiums from around Illinois. 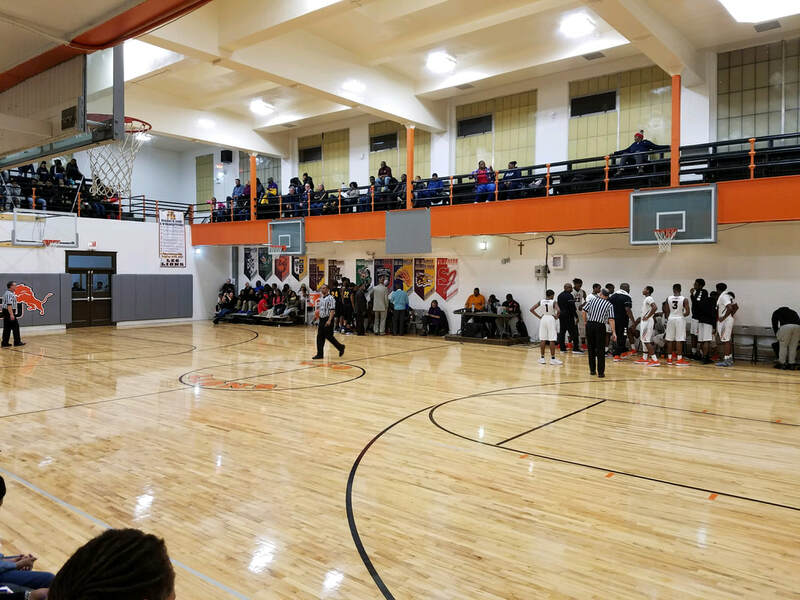 If you would like your gym to be featured, please send us a clear photo with the gym capacity and a few interesting facts to hsbballjg@gmail.com. Enjoy! 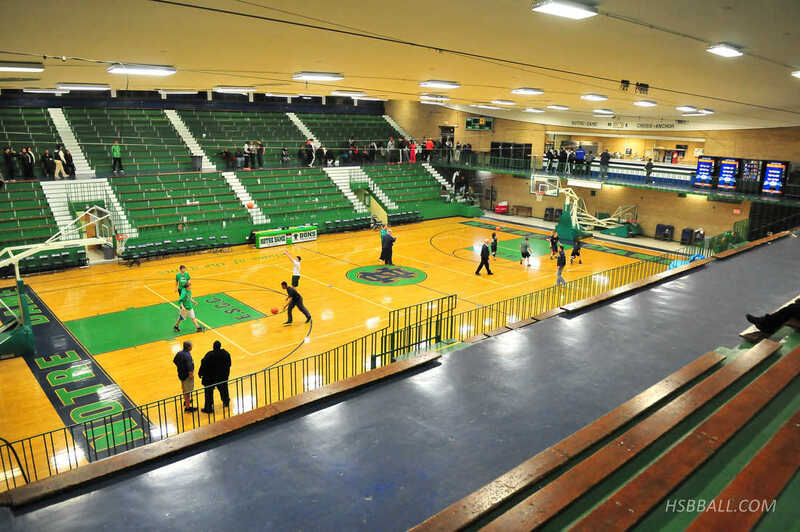 ​Frequent host of sectionals in the past few years, hosting many of Chicago's top teams. 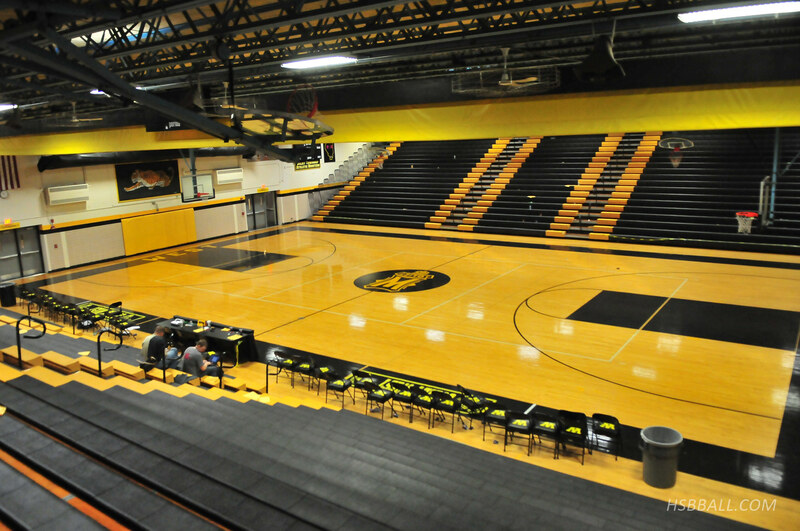 A great atmosphere for a game, with a stadium-like 360-degree seating arrangement. People walk from the top-down, so during the game no one is ever walking in front of you. Essentially people can come and go from their seats as they desire without disturbing other patrons. ​Notice the way the walls are painted. 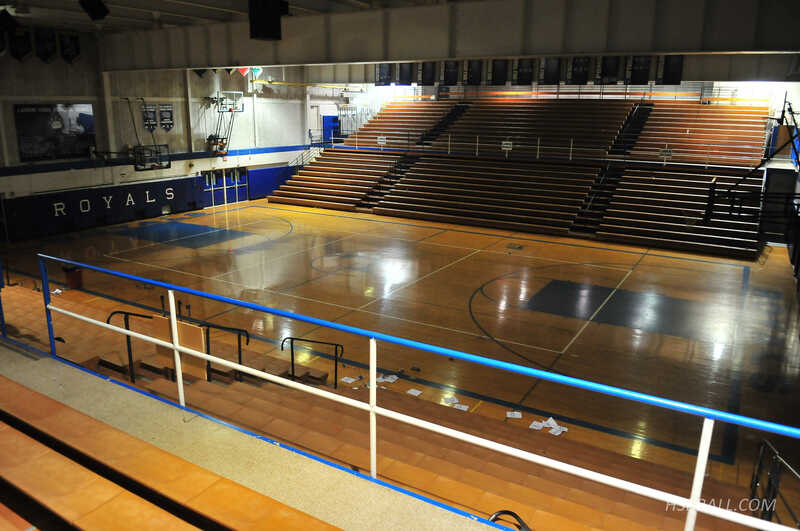 It shows someone really cared about how the gym looks. 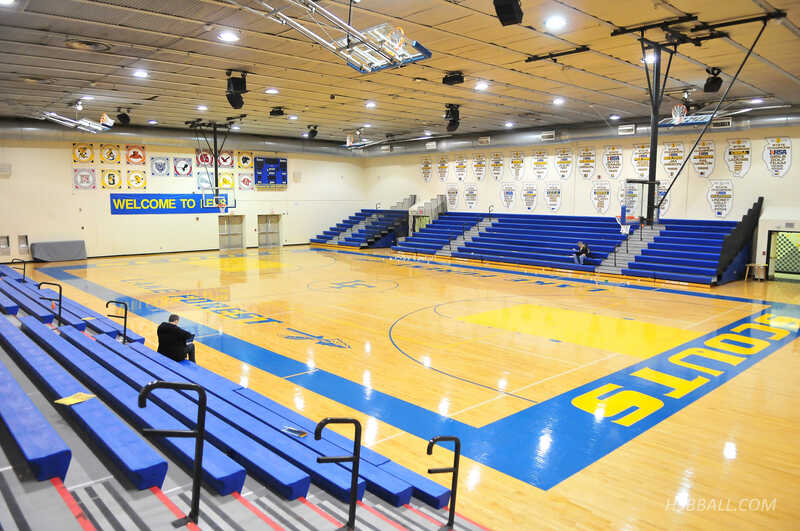 This is a new, well lit, comfortable gym. 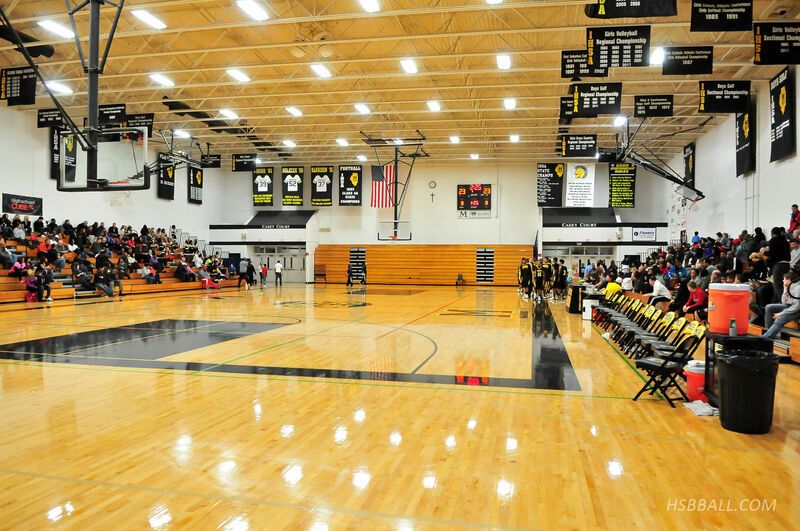 It is difficult to explain what makes this gym one of the best. It is perfectly built. The dimensions and decorations are easy on the eyes, the acoustics were not too loud, the track above gives depth, the lighting is bright, and the people are friendly. This gym has an amazing ability to feel both full but not too crowded, creating an un-believably perfect atmosphere. New arena for 2017! The stadium is built with a significant amount of windows to provide a sense of openness. Unlike most stadium bowls, this one is not dug out and built into the ground. The main locker rooms are circular, apparently a very rare design. Depending on where you sit, you will find a wide selection of different types of seats. 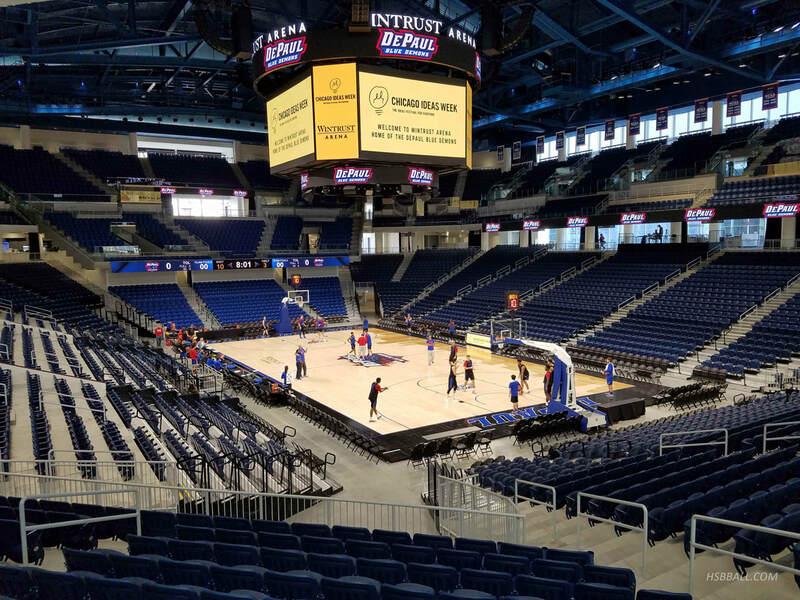 A step in the right direction to make DePaul basketball great again! 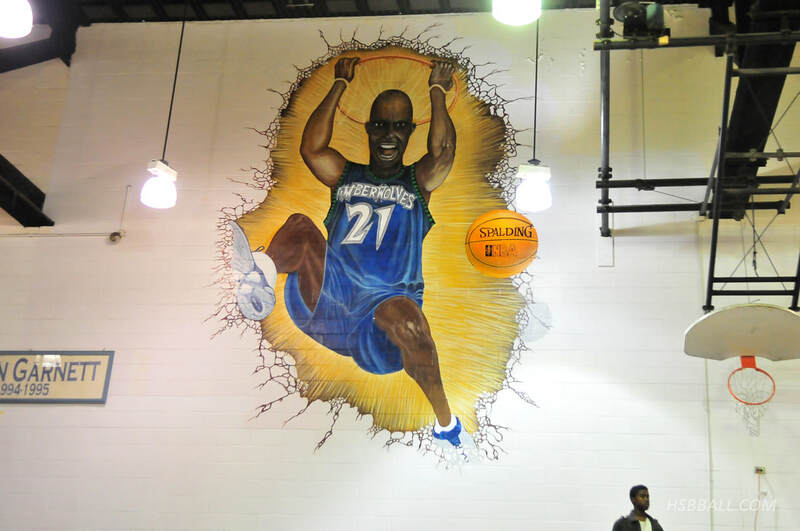 There are two huge murals, one on each side of the gym. One is of Kevin Garnett and the other is of Ronnie Fields (pictures follow). ​The ceiling was made entirely of wood. This gave the gym quite a comforting feel. 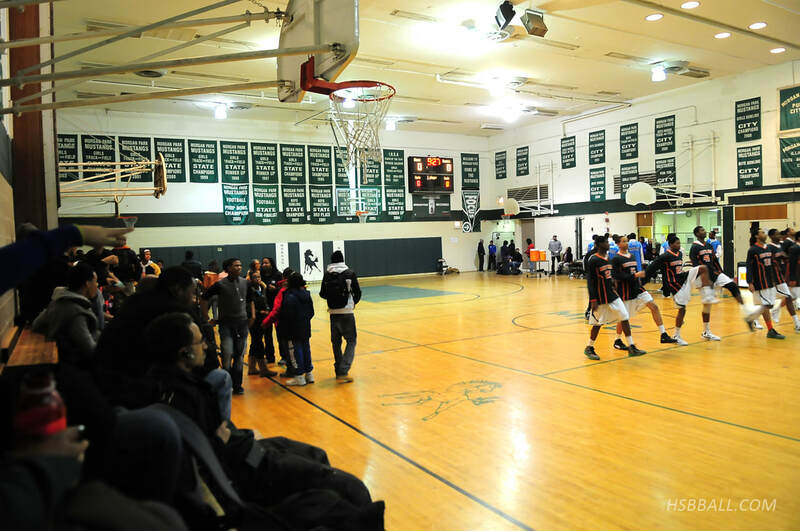 The 4-sided scoreboard in the center of the gym is rare. Even more rare is one that is high quality and looks flush with the gym. Gordon Tech did a nice job implementing this. 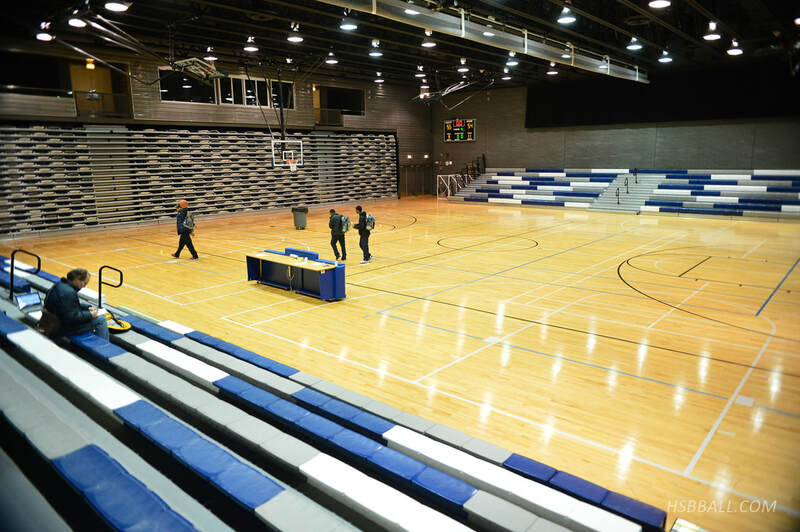 ​A long gym end-to-end with significant open space around the court. 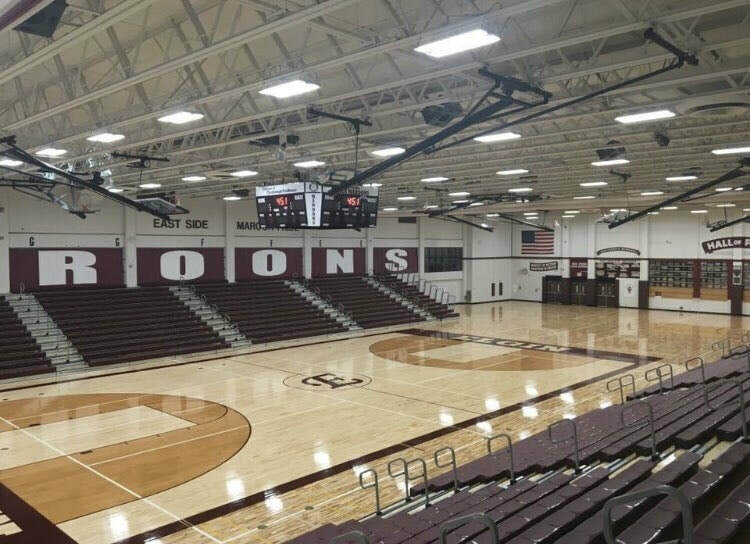 This type of setup makes for a highly functional and efficient gymnasium, but loses the "it" factor when it comes to atmosphere. We're not sure if the red cloths on the ceiling are for sound or decoration, but we like them. 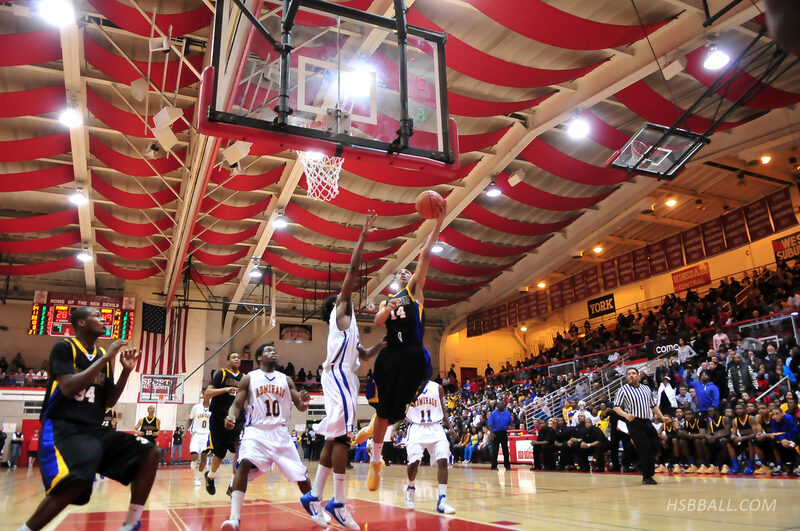 Also, a very young Jabari Parker can be seen in the photo. 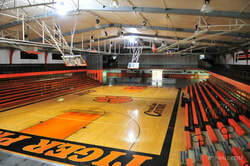 ​This is the home gym for Powerhouse High School. We noticed one of the doors had written on it, "NO FOOD OR DRINK. NO DUNKING." This was very ironic at the time because Young was playing Powerhouse, and the Young players had thrown at least a dozen hard dunks before halftime. ​This was a nicely built gym, nothing too unique. They had a "Wall of News" in the hallway which displayed several of my pictures from the Sun-Times, pretty neat! ​This is typically a church, but they often have other events during the week. There was only one small scoreboard (seen in the picture) which was difficult for players to see. It also changed colors: winning team green, losing team red, tie game orange. 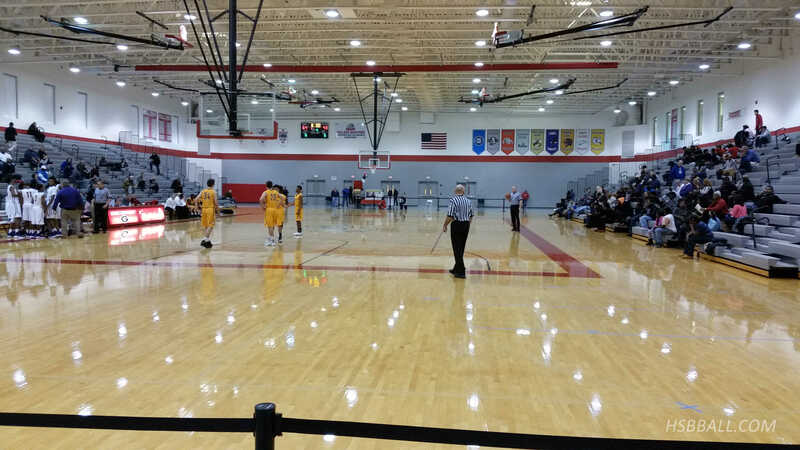 The floor was made of a plastic/rubber composite which was apparently very slippery for the players. ​The walls are all painted baby blue, for some reason this really stands out. President Obama spoke here in early 2013 about the violence in Chicago. ​This is Michael O'Brien's favorite gym, probably because he went there. According to Michael, it can hold up to 6,000 (our capacity is based on the number of seats). It is also known as "The Barn". There is a small track in the rafters that is almost invisible. My guess is that it cannot be longer than 125 meters. The gym in general is extremely long from end to end. ​The two owners of HSBBALL can be seen here sitting in the stands. 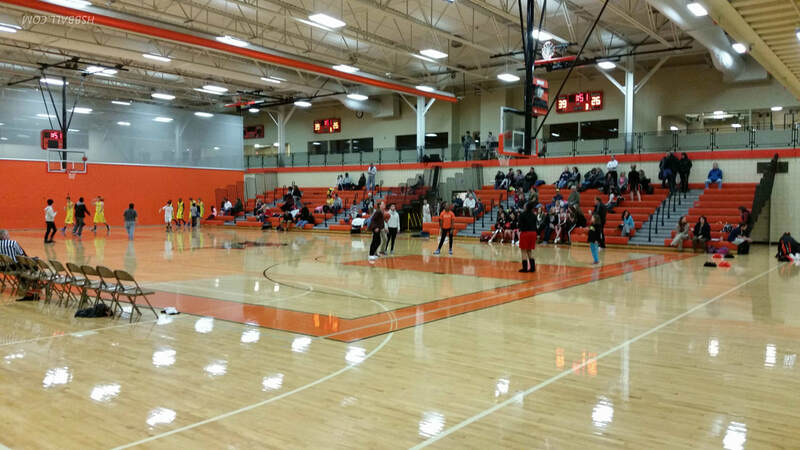 ​This gym was brand new and one of the nicest public league gyms I have ever visited. 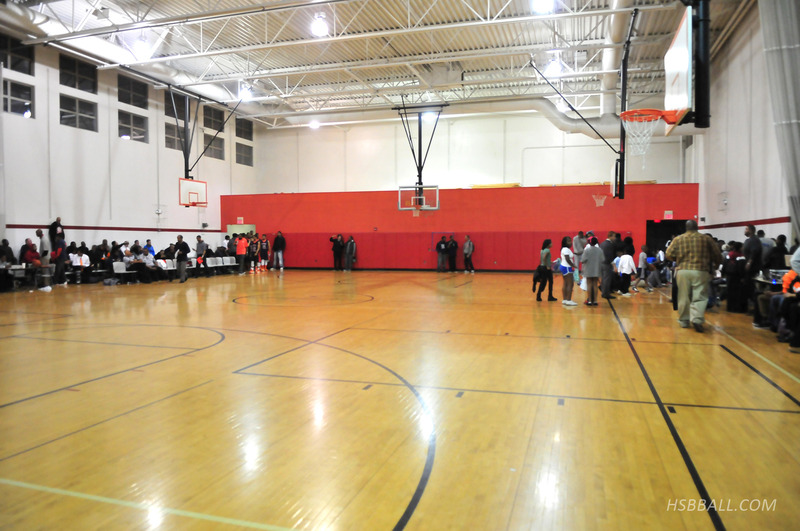 Funding for the gym was provided by Nazr Mohammed formerly of the Chicago Bulls, who played at Kenwood. A rare treat for photographers; the area underneath and around the hoop was brighter than the surrounding court. This is opposite of typical gym lighting and helps make the players stand out in pictures. ​The school's architecture was impressive. Their parking lot was bricked. Unfortunately, the gym was not built with such detail. 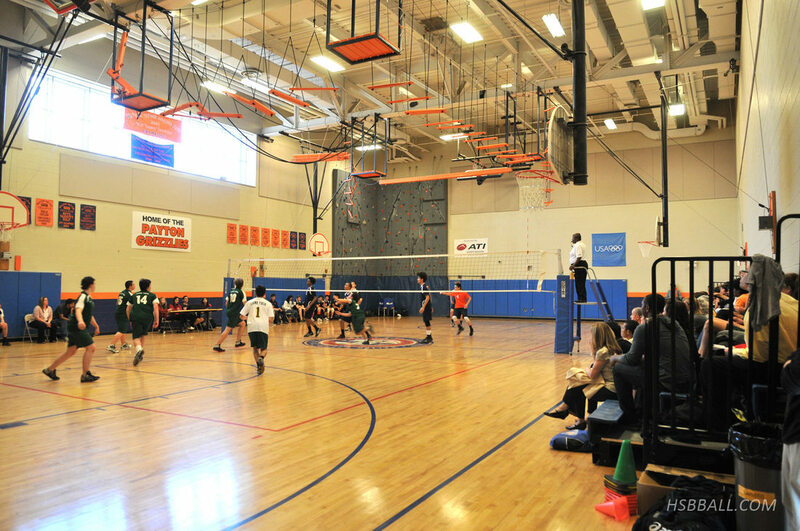 ​The gym lies on the second floor, in the center of the school. 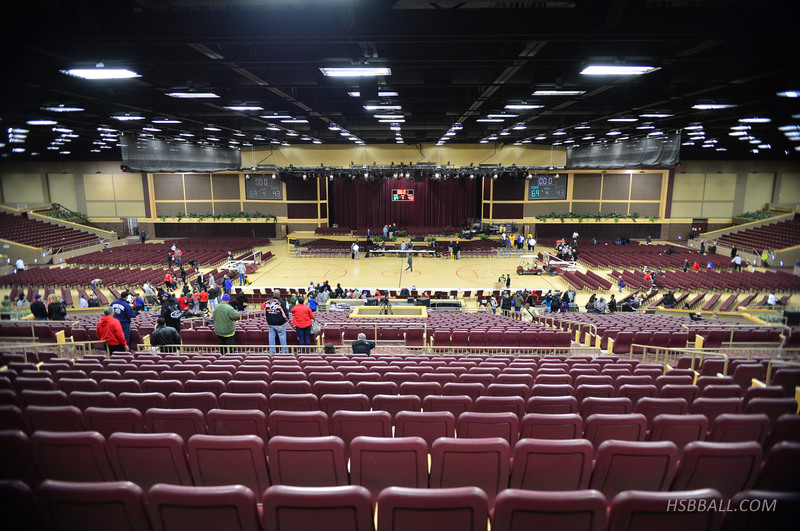 Unlike entering a normal gym, spectators go through a side door, down a long hallway, and up a set of stairs. 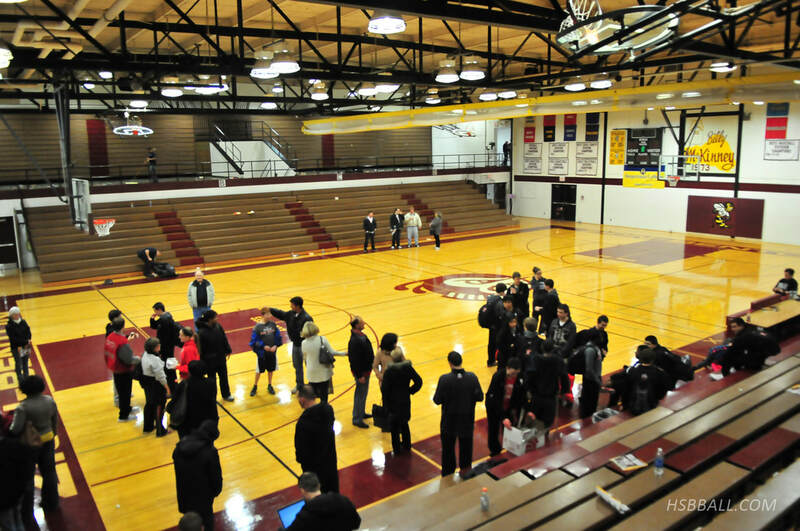 Once you're in the gym, Lane provides a great atmosphere for watching games. 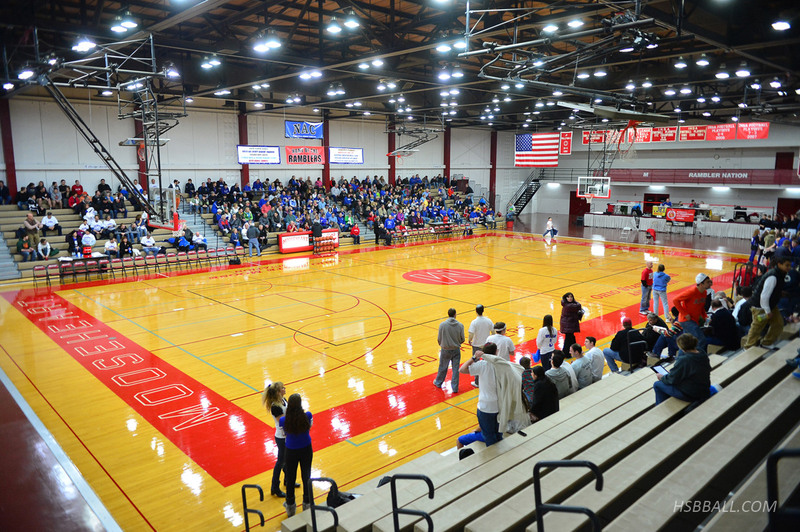 For such a large gym, there is very little room. 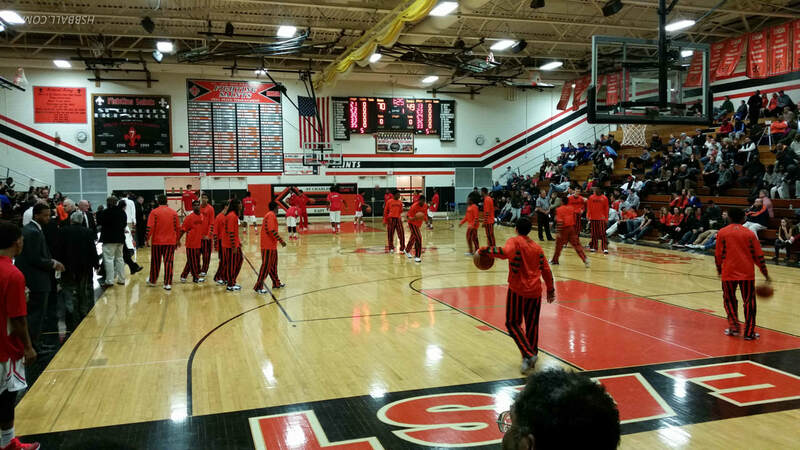 Not much space behind the baskets or between the bleachers and the court. This makes for an intense setting at any big game. 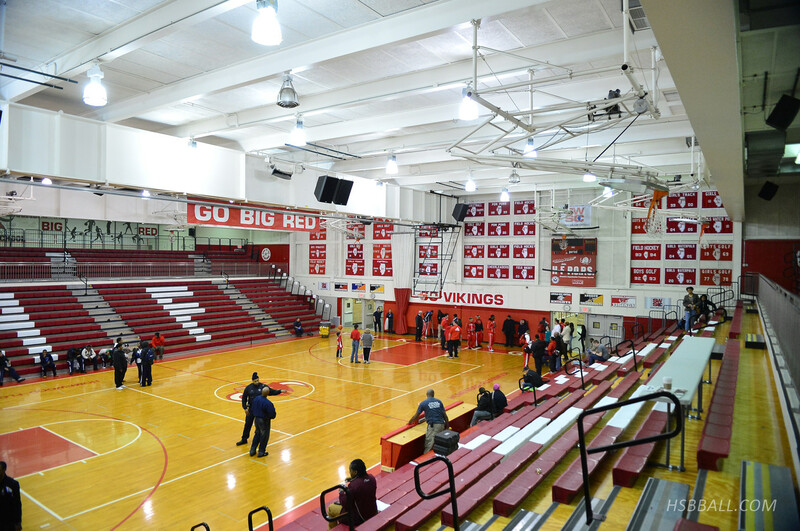 Large bleachers cover all four sides of the court. This is a phenomenal setting to watch a close game with a full crowd. 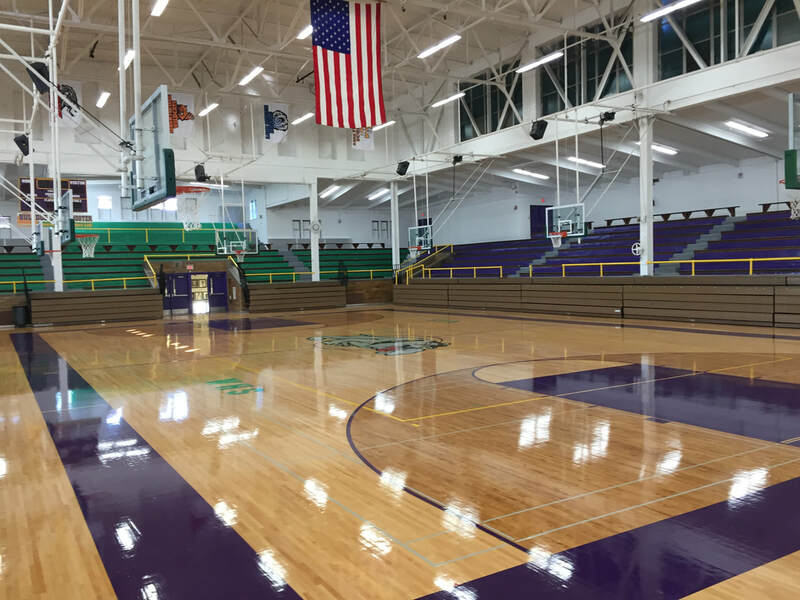 Although this gym is the size of a field house, the only part of the floor that's intended to be used for athletic activities is the actually gym floor in between the baskets. 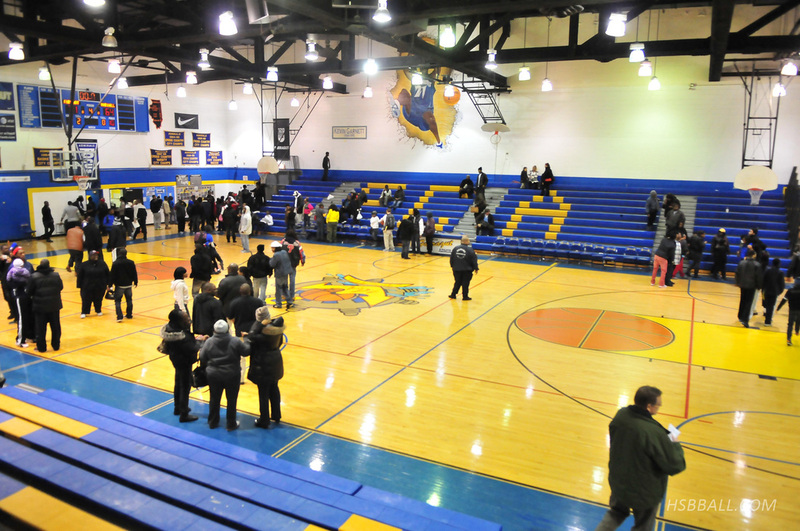 This gym was recently renovated (it needed it). 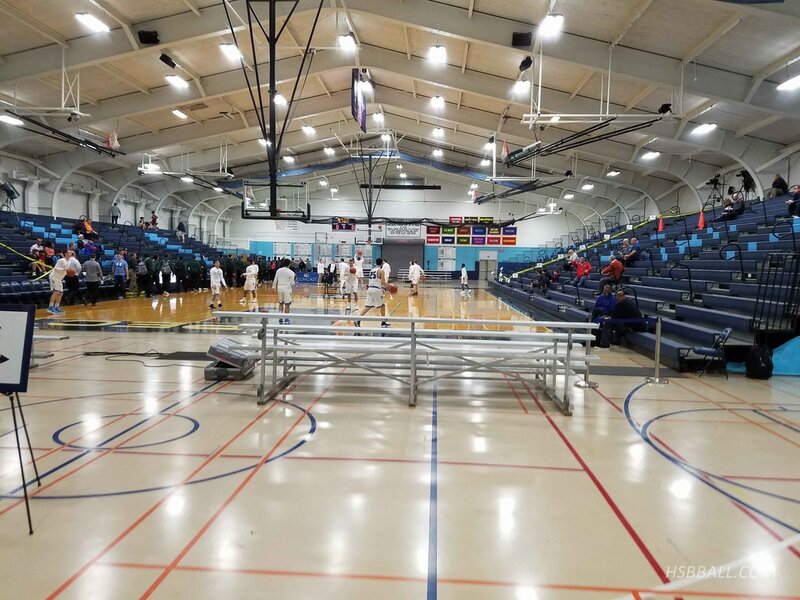 Hopefully I can get a new gym picture soon, but I rarely make it here because all their better games are played in larger gyms that can hold bigger crowds. 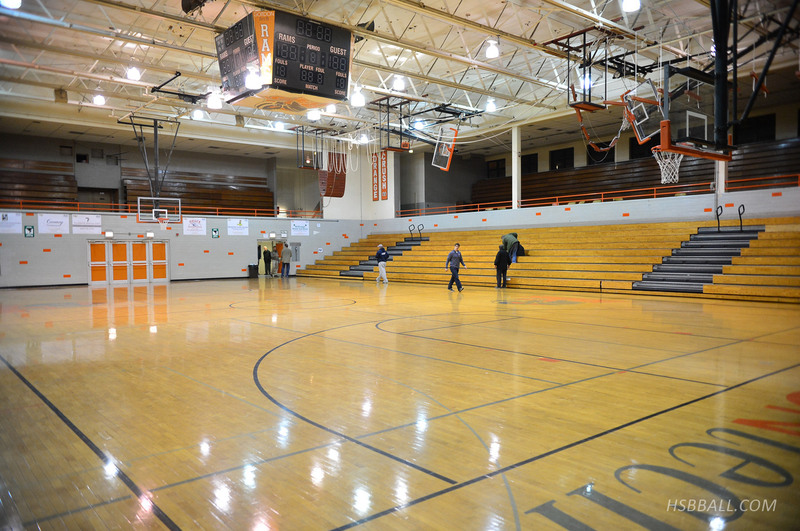 Small but energy-packed gym, nicknamed "The Dungeon". 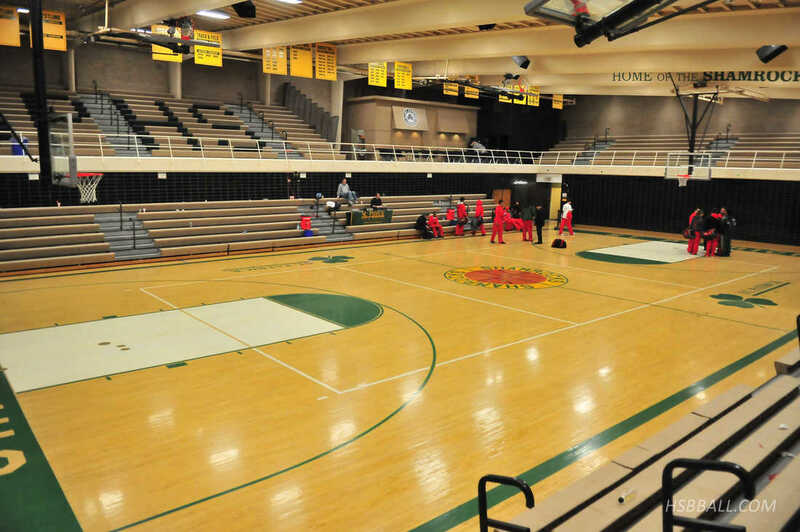 Since 2005, Northridge has hosted The "Battle at the Ridge" Thanksgiving Tournament. (Picture and info provided by athletic director Will Rey). 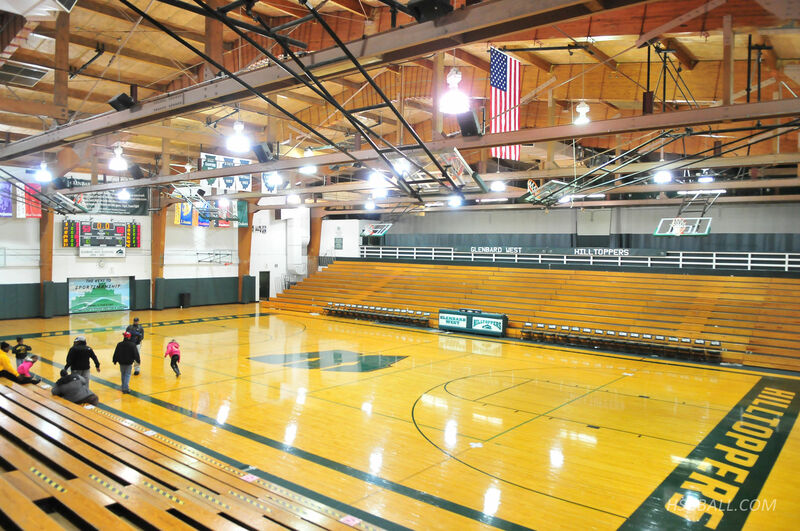 Capacity: 1,970 | The ceiling is curved downward towards the court. 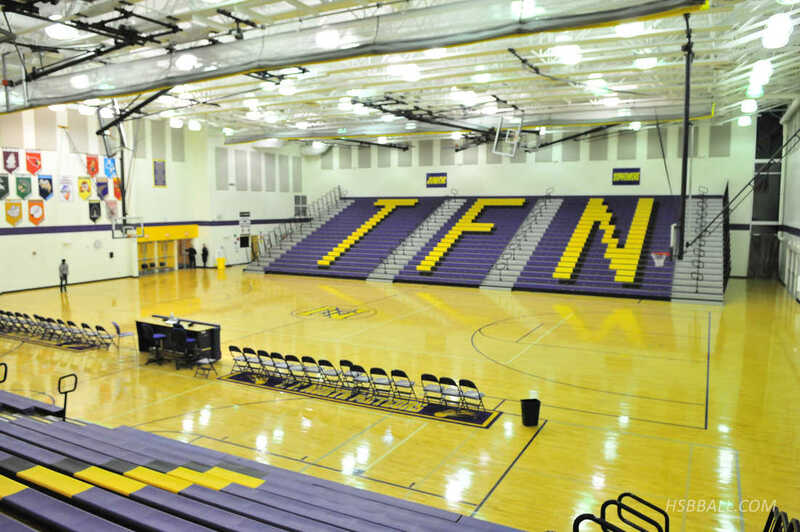 This gym is built into the ground like a basement or true stadium. Spectators enter at the height of the balcony (seen on the right of the first photo). 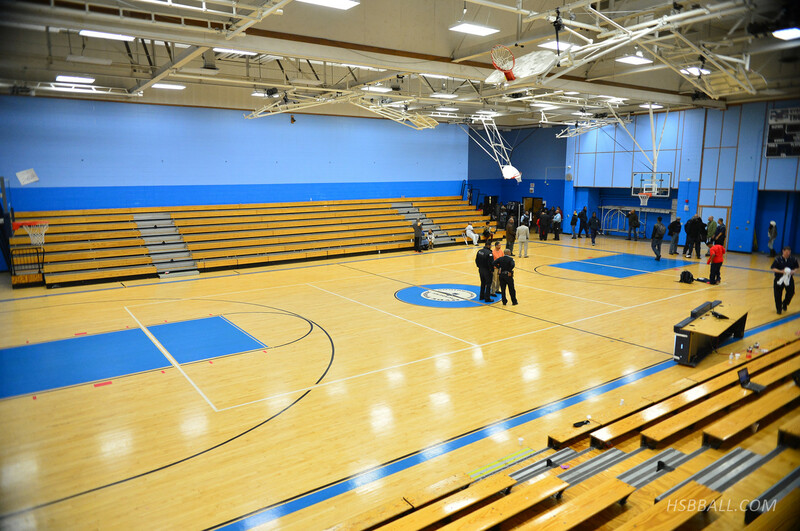 Capacity: 165 | Despite being a tiny second floor gym, they have both a trapeze set and a rock-climbing wall. 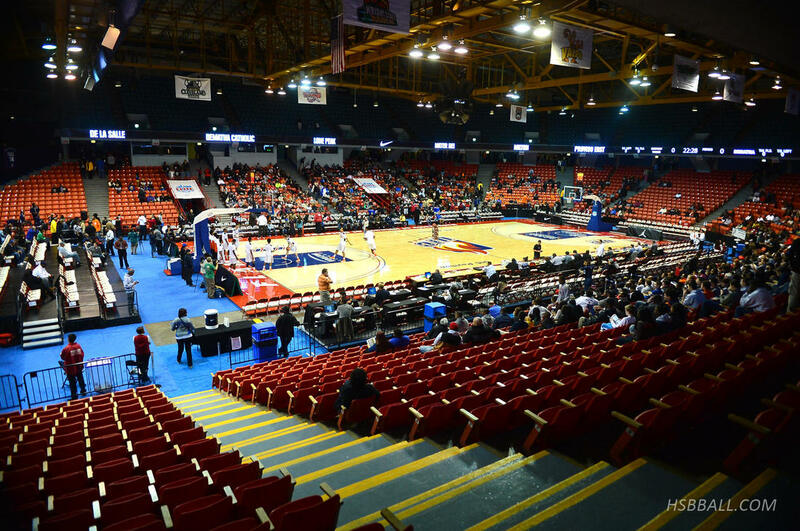 Capacity: 11,442 | Home of the Illinois boys high school basketball state championship since 1995. 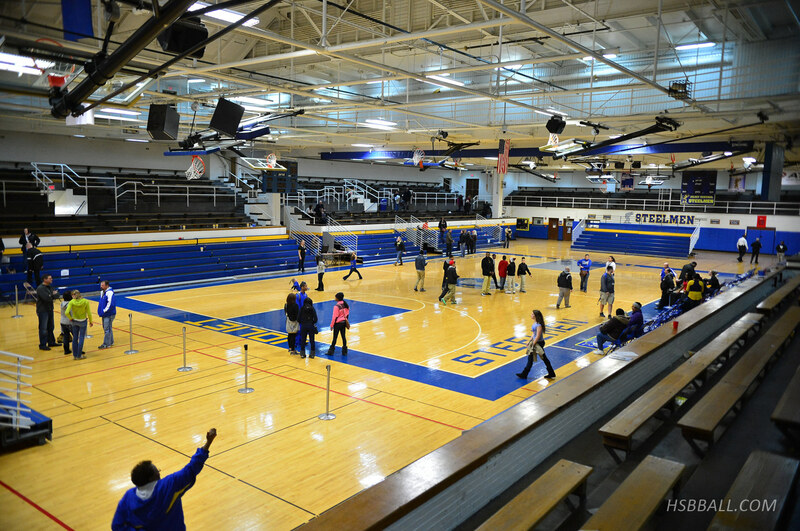 During the state tournament they turn the exhibition hall into a basketball carnival. 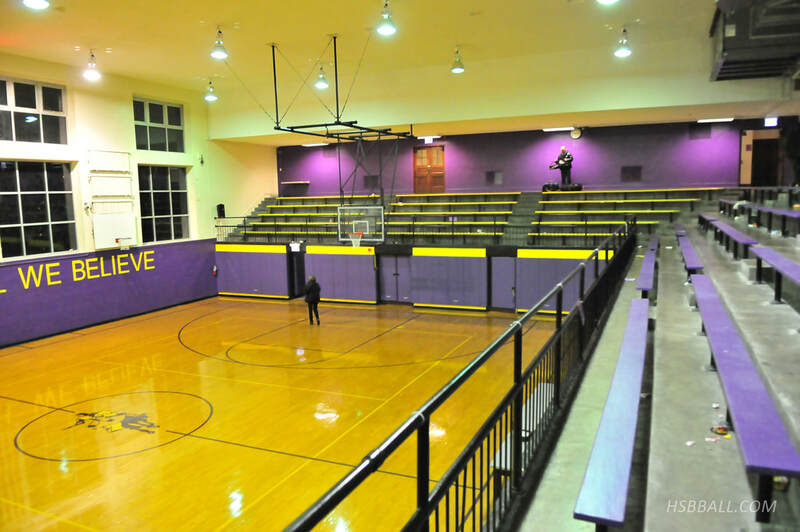 Although this is technically named "The Experience," we at HSBBALL like to call this the "Fun House" The press room is under the stands in a dark storage area which many refer to as "The Cave." 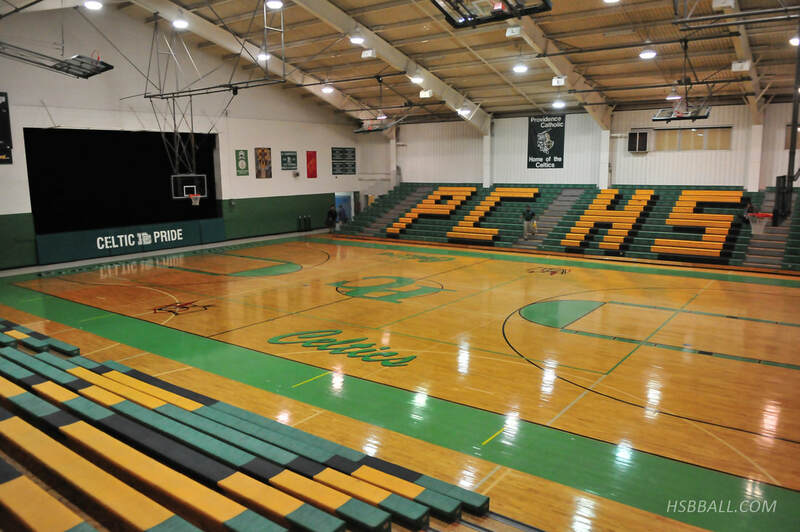 Capacity: 3,500 | Home of the Pontiac Holiday Tournament. For many media members, it is one of the favorite events of the year. 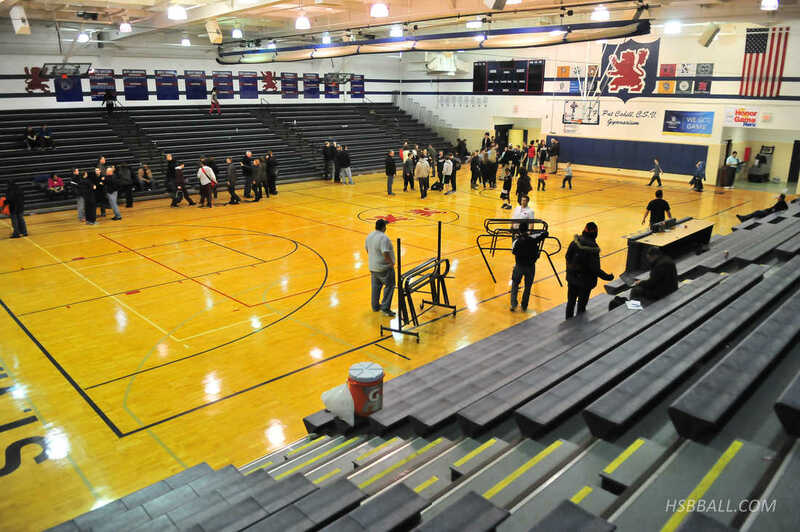 The gym is dark, virtually no cell phone reception, it's far away, there are no stairs on the bleachers, and you can only enter/exit the gym during time outs or between games. What makes the tournament such a treat is the people who run it. Everything is always exactly on time, there is an amazing hospitality room, there is not hassle with security, and everyone always greets you with a smile. 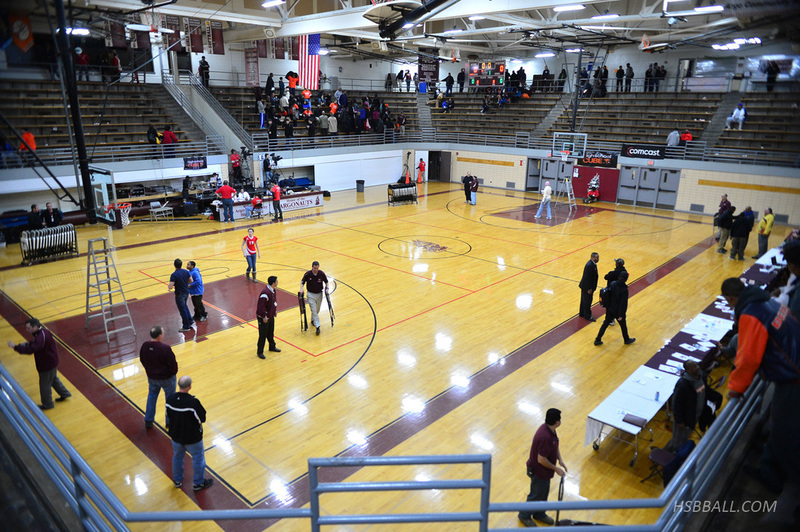 Capacity: 1,320 | The gym floor was wood, but just about a foot from the out of bounds line the floor turned to tile. Capacity: 400 | Where to begin? 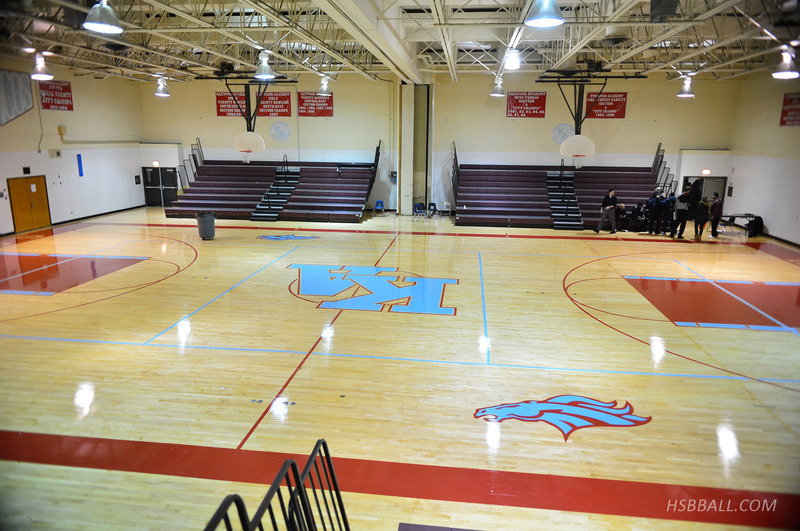 This gym is located on the 4th floor of the school (5th floor for seating). 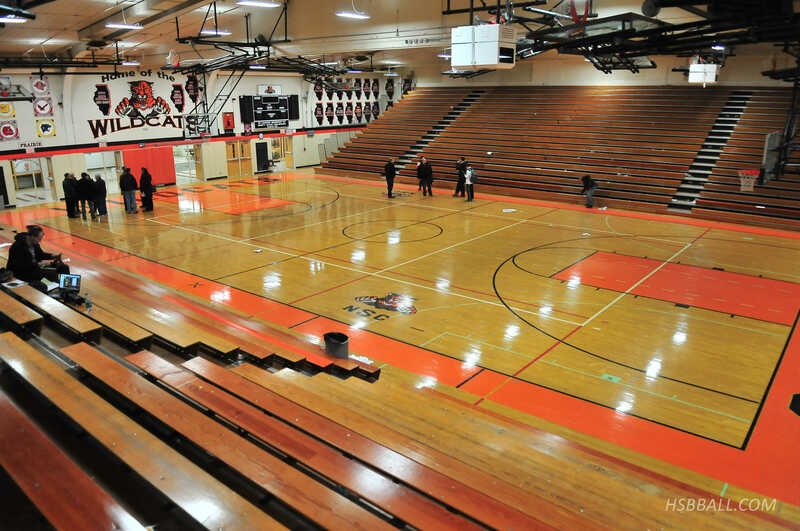 It was difficult to sit on the gym floor because there was such little room on all four sides of the court. The lighting was extremely dim, possibly the darkest I've ever shot in. The area was incredibly loud due to tight, thick walls. School personnel escorted other media members and I out of the gym and all the way to our cars. The small parking lot had a tall black fence protecting it from the surrounding neighborhood. When we were walking out we came across the school chapel (above), and my dad couldn't help but look around. 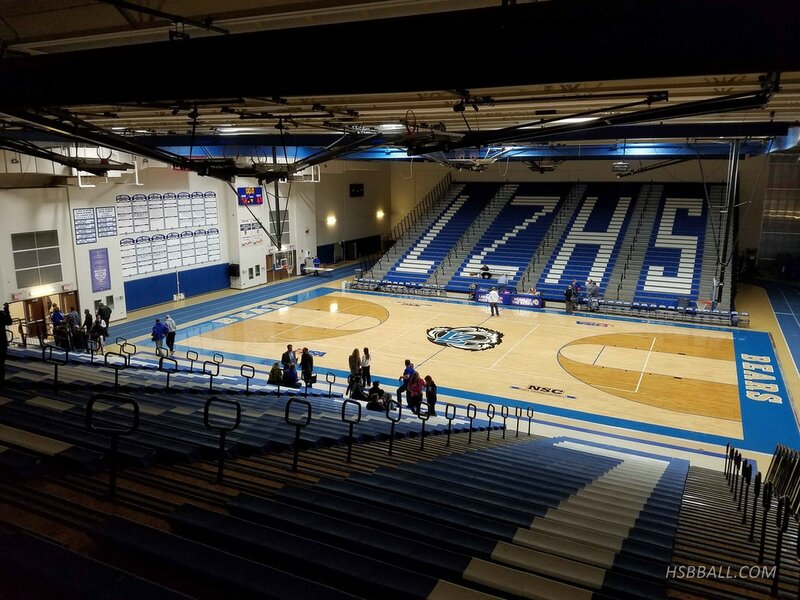 Capacity: 2,130 | Very unique to a high school gym; the lower section bleachers are actually separate seats, quite a luxury. The bright orange glow from the lights make this environment a nightmare for photographers. 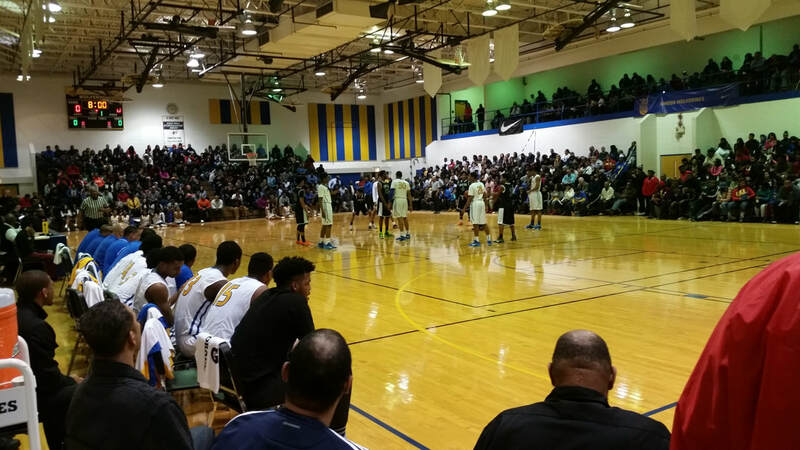 Ironically, with such a great team Simeon does not play many home games here. 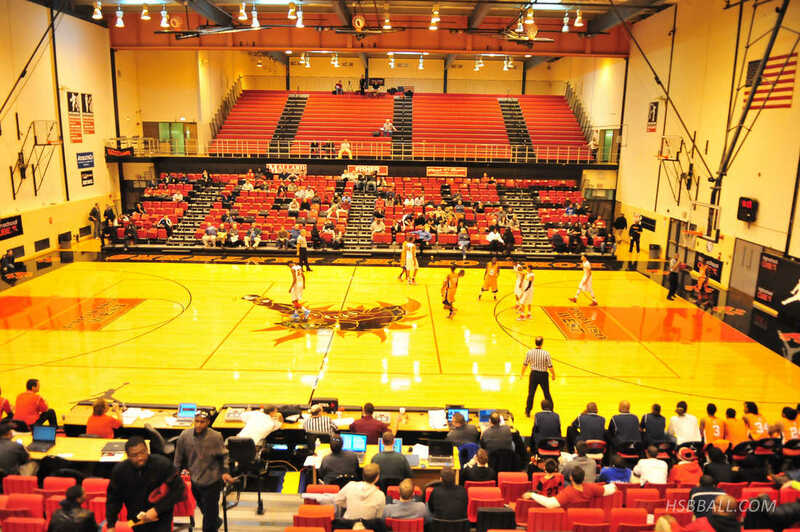 The majority of their home games are played at larger venues to accommodate the larger crowds but unfortunately that takes away much of the competitive atmosphere. 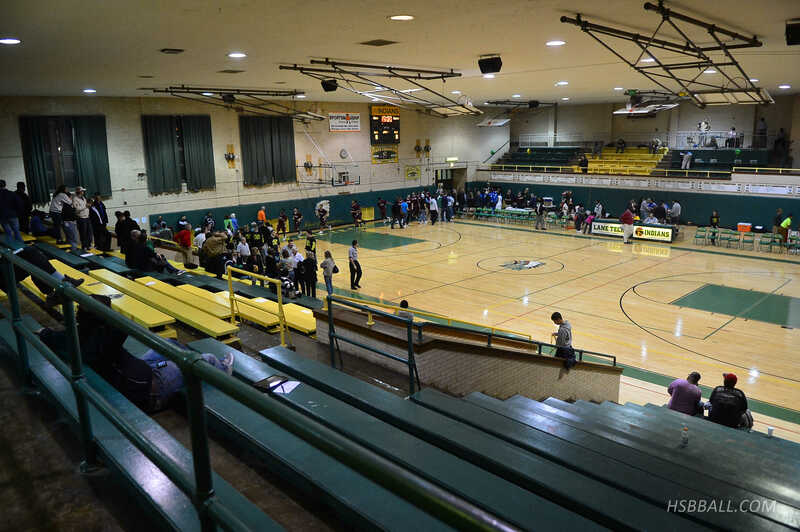 Waukegan's east gym, aka the "Dog Pound," is one of the oldest and most historic gyms in the area. 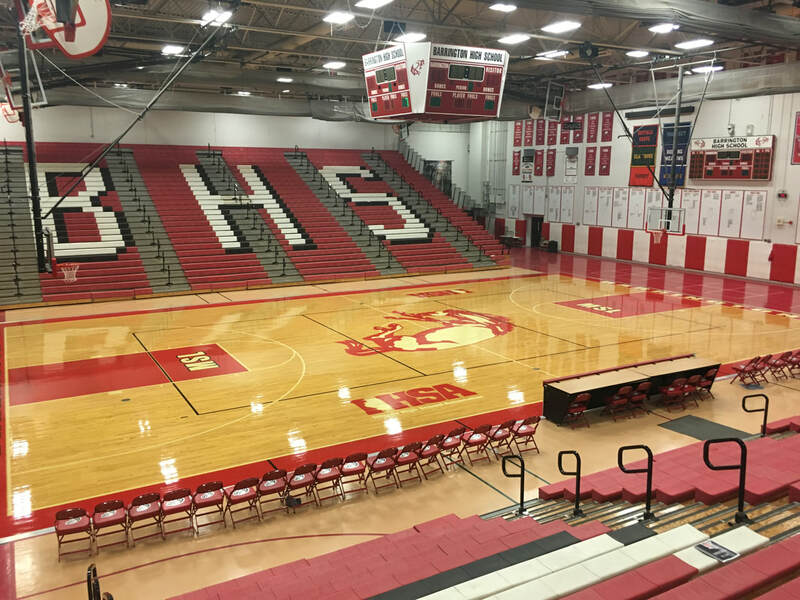 It was recently refreshed with a new floor and other updates. | Not a spectacular gym by any standards. 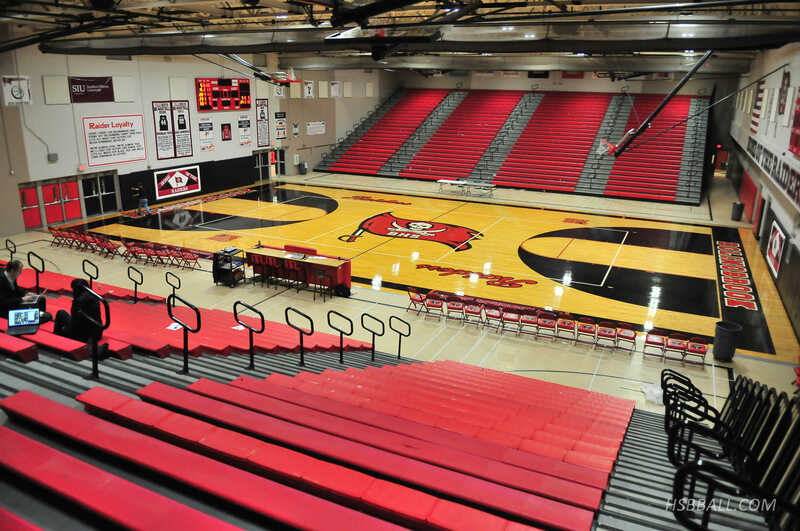 There is only one set of shaky bleachers on one side of the court. 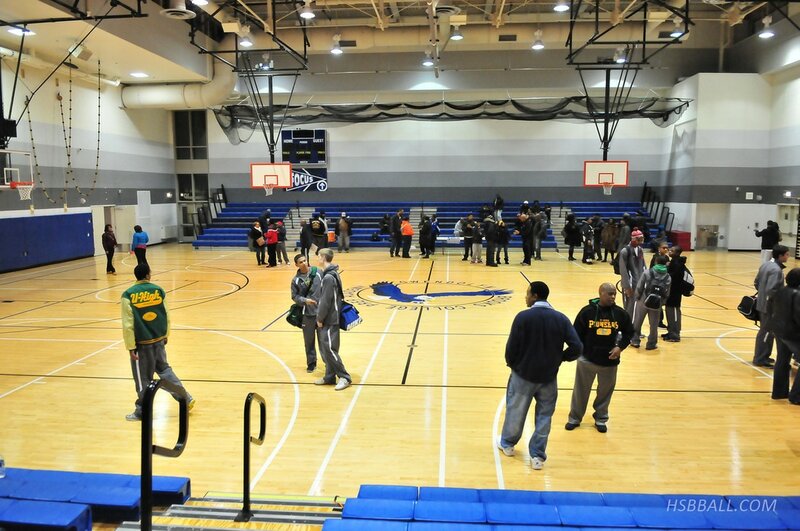 The gym is one of the darkest in Chicago. To make matters worse, they painted the floor and walls dark blue.